The Lewisville 16 pc. Dinnerware set provides service for four. The set includes four each of: dinner plate dessert plate bowl and mug. The design features a cream interior and dark brown exterior with a contrasting red stripe. - stoneware construction - reactive glaze finish - dishwasher safe - contemporary design. Red/Cream. This item cannot be shipped to APO/FPO addresses. Please accept our apologies. 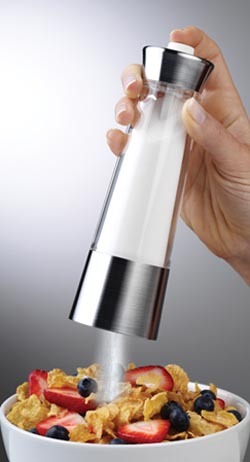 With just the push of a button, dispense a � teaspoon of sugar. 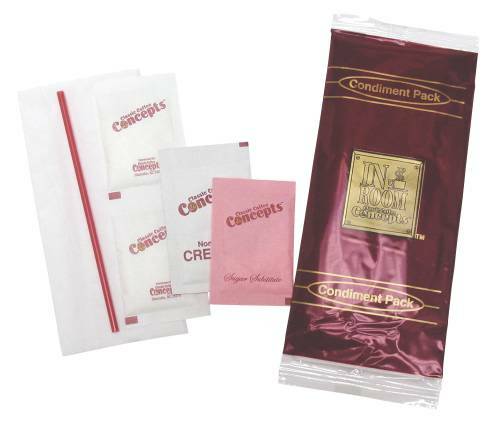 A � teaspoon approximates one packet of sugar, which makes it easy when using for coffee, baking, cereal and more. 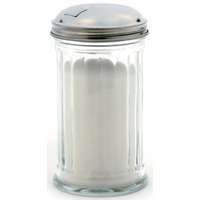 Made of crystal clear acrylic with stylish brushed chrome accents, it will also dispense powdered creamer. A handy re-fill funnel is included and conveniently stores in the base. The friction fit bottom cover keeps tables and countertops free from spills. The Lawson 16 pc. 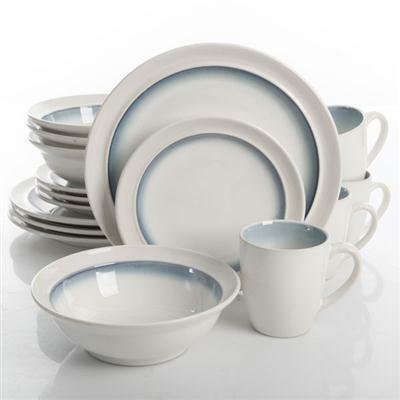 Dinnerware set provides servce for four. The design complements any kitchen. Includes four each: dinner plate dessert plate soup/salad bowl and mug. - circular design - decorative teal band - stoneware construction - contemporary design - reactive glaze. White/Teal This item cannot be shipped to APO/FPO addresses. Please accept our apologies. The Lewisville 16 pc. Dinnerware set provides service for four. The set includes four each of: dinner plate dessert plate bowl and mug. The design features a cream interior and dark brown exterior with a contrasting teal stripe. - stoneware construction - reactive glaze finish - dishwasher safe - contemporary design. Teal/Cream. This item cannot be shipped to APO/FPO addresses. Please accept our apologies. The Lewisville 16 pc. Dinnerware set provides service for four. The set includes four each of: dinner plate dessert plate bowl and mug. The design features a cream interior and dark brown exterior with a contrasting neutral stripe. - stoneware construction - reactive glaze finish - dishwasher safe - contemporary design. Neutral/Cream. This item cannot be shipped to APO/FPO addresses. Please accept our apologies. The Rivers Edge Cardinal Salt and Pepper Shakers are hand painted poly resin design. This model holds the salt and pepper shakers on the sides of the Cardinal bird. These shakers are clear glass so you can see when they are running low. All models are packed in a beautiful four color box. The Annis Duraproof 12-piece Tempered Glass Dinnerware Set feature service for four. The set includes 4 each of: 9.5" Dinner Plate 6.5" dessert Plate 5" Soup Bowl. The oval white design complements virtually any dTcor. 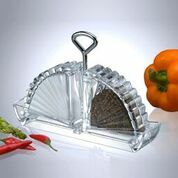 - round rim shape - opal tempered glass - dishwasher safe - break and chip resistant WHITE This item cannot be shipped to APO/FPO addresses. Please accept our apologies. The Lawson 16 pc. 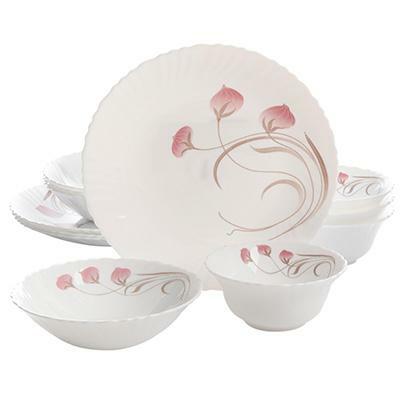 Dinnerware set provides servce for four. The design complements any kitchen. 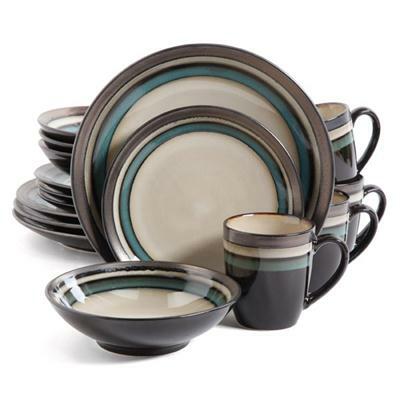 Includes four each: dinner plate dessert plate soup/salad bowl and mug. - circular design - decorative brown band - stoneware construction - contemporary design - reactive glaze. White/Brown. This item cannot be shipped to APO/FPO addresses. Please accept our apologies. The Rowland 16 pc. 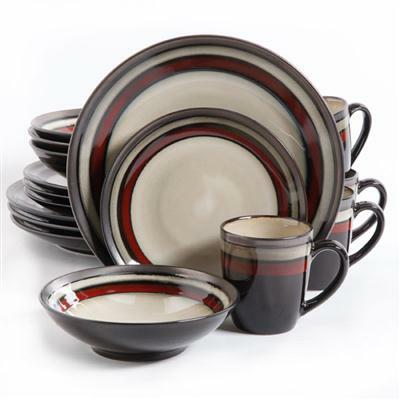 Dinnerware set complements virtually any table - either for formal dining or a quick meal. The set includes four each of: 11.4" dinner plate 8.66" dessert plate 6.3" bowl and 14 oz. mug. The set features a clay footing on the mugs and bowls. - stoneware construction - transparent glaze - dishwasher safe - blue color This item cannot be shipped to APO/FPO addresses. Please accept our apologies. 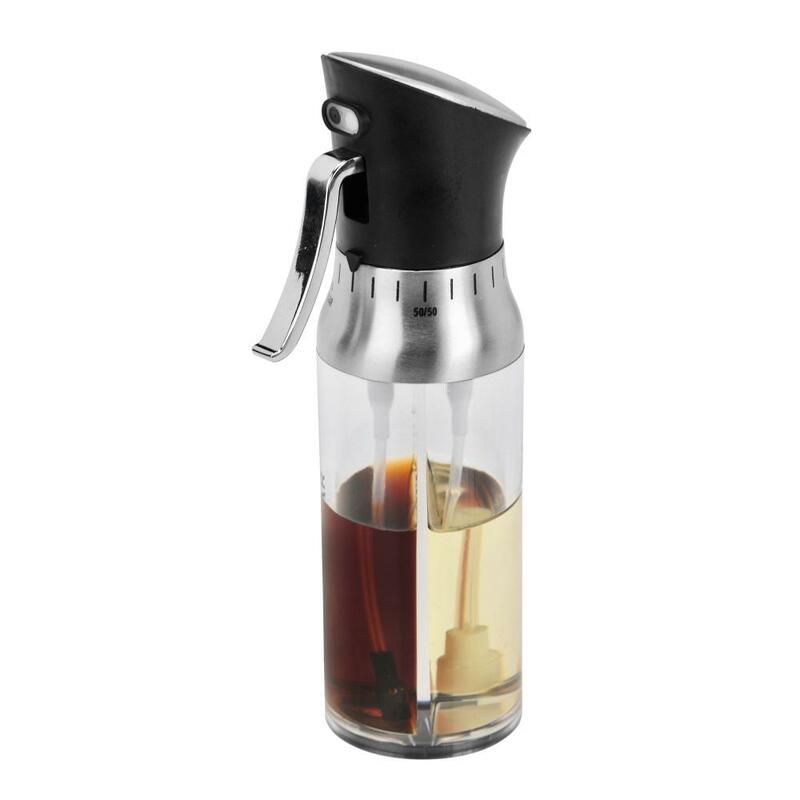 The Kalorik 2-in-1 Oil and Vinegar Dispenser offers a flexible and reusable solution to spraying a custom mix of oil and vinegar evenly, and prepare vinaigrette's instantly. You will no longer have trouble guessing how much oil to use! This appliance helps make your life easy- you can spray 100% oil, or 100% vinegar and anything in between; you can adjust the combination of desired oil and vinegar at any moment to get the perfect mixture every time. A quick press on the trigger will allow you to produce an oil mist or slow action will produce a dash of vinaigrette. Not only is this item easy to refill but it has a drip-less spout so there is no mess! Serve and entertain your family or guests with the Almira 12 pc. 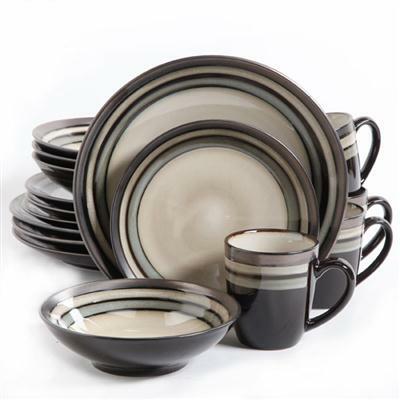 Melamine dinnerware set. The break-resistant melamine is perfect for families with kids! The multi-color design gives you that eclectic designer look. 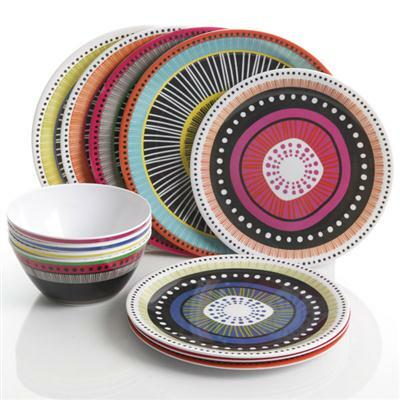 - set contains four each of: 10.5" dinner plate 9" dessert plate and 6" bowl - dishwasher safe - multi-color design This item cannot be shipped to APO/FPO addresses. Please accept our apologies. PRODYNE SALT AND PEPPER CADDY HWPD3IA SALT & PEPPER SHAKER SET w/CADDY�Stylish 3 piece set includes matching fan shaped shakers with easy-to-carry, easy-to-pass caddy. ��Measures 7 �” x 1 �” x 5 �”. PRODYNE OIL VINEGAR SALT AND PEPPER CADDY HWPD5IA O.
STACK … OIL, VINEGAR, SALT & PEPPER DISPENSER SET w/CADDY��Attractive 5 piece set includes 2 oil & vinegar bottles plus 2 salt & pepper shakers nested on an easy-to-carry, easy-to-pass caddy. The unique self-stacking, interlocking design will add space saving convenience to any table setting, indoors or out. The River's Edge Products Outhouse Salt and Pepper Shakers are uniquely designed and add fun and flare to any meal experience. The shakers are made of high quality ceramic and detailed painting. All models are packed in a beautiful four color box. It is great for personal use or as a gift. The spices are not included.